This portrait recently acquired by Waterford County Museum, was sketched in watercolour and pencil by C. Grant at Oxford. 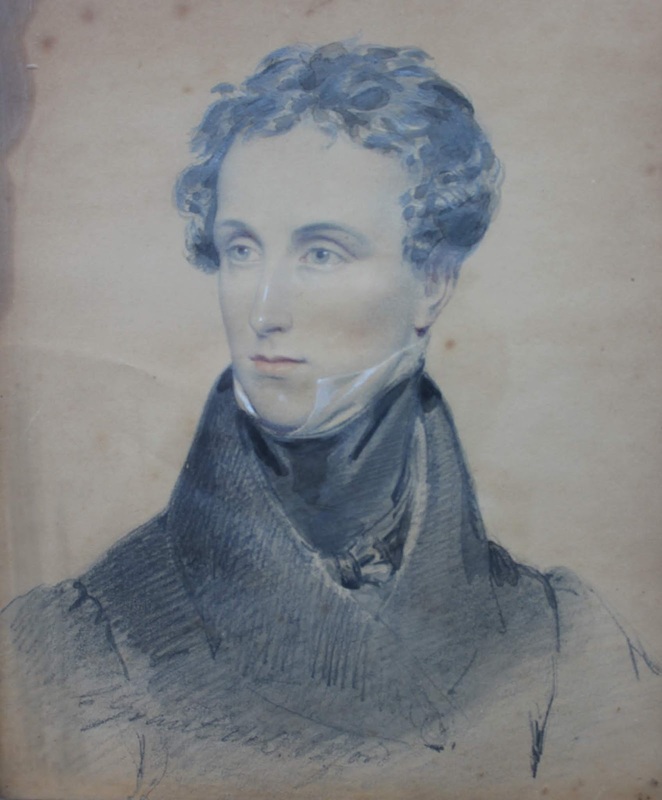 Little is known of this artist but there is a lithograph based on a portrait by him of Hugh Gough, 1st Viscount Gough in the National Portrait Gallery, London. Edward Odell (1807-1869) was the brother of John Odell (1801-1846) of Carriglea. When John died he left the estate to his brother's son who was then aged three. Edward was educated at Harrow and at Christchurch, Oxford where this sketch was executed. Before moving back to Carriglea in 1846 Edward had been on a continental tour and had visited Sicily with John, 2nd Marquis of Ormonde and was writing an account of this trip. In 1838 Edward married Harriett Ricarda Nugent-Humble of Cloncoskeran House and they lived in Malta before returning to Carriglea. Edward held the post of magistrate and had a keen interest in history. In 1850 the Marquis of Ormonde published his account of Sicily under his own name as An Autumn in Sicily but Edward was not given credit on the title page although he is mentioned in the preface.